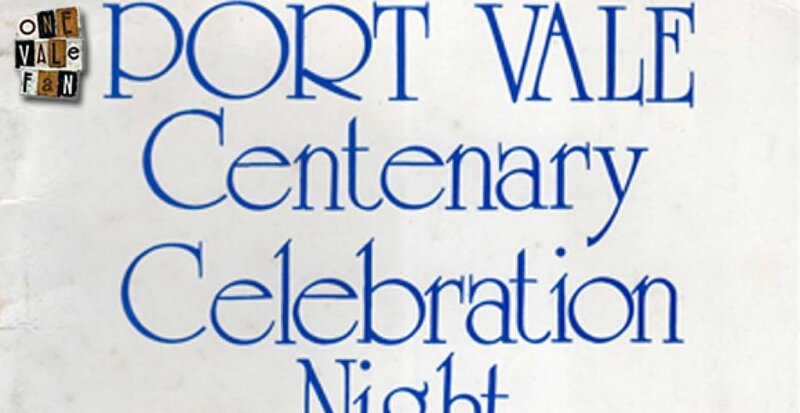 Here are some scans of a night out at Jollees nightclub to celebrate the “centenary” of Port Vale FC. Ironically, leading Vale historian Jeff Kent believes that the club’s formation year is more likely to be 1879 rather than the official 1876 date adopted by the club and which lead to this night-out. 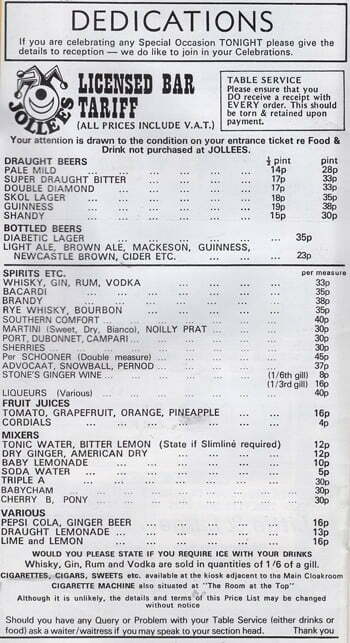 We have also included a page of adverts from the programme including a line-up of the acts to appear at Jollees, along with the bar prices.